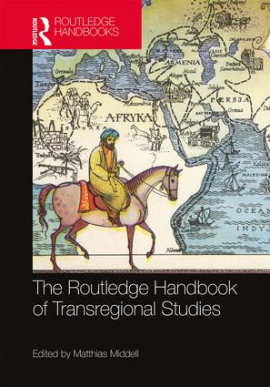 On 23 January, 7 p.m., the SFB 1199 hosts the presentation of the Routledge Handbook of Transregional Studies, the book presentation will be followed by a reception. Everyone who is interested is invited. Among others, KFG associated scholars Christoph Kleine, Philip Clart, Ursula Rao, Ugo Dessì, and Adrian Hermann have contributed to this handbook. 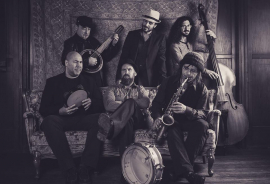 On 18 January the Harrycane Orchestra will play a concert at Kaya Bar (Wolfgang-Heinze-Str. 38, 04277 Leipzig) at 8 pm. Have a sneak peek at their music here. The Leibniz-Zentrum Moderner Orient (ZMO) will hold a conference on Claiming and Making Muslim Worlds: Across and Between the Local and the Global from 3-5 April 2019 in Berlin. The conference concludes the centers 12-year research programme "Muslim Worlds - Worlds of Islam?" For registration, please send your details to the following address: MuslimWorlds2019@zmo.de. Dr. Tzu-Lung Chiu will give a lecture on The Vinaya Practices in Contemporary Chinese Buddhism: A Cross-Strait Perspective on Buddhist Nunneries at the Konfuzius-Institut Leipzig on 21 January, 6 p.m.